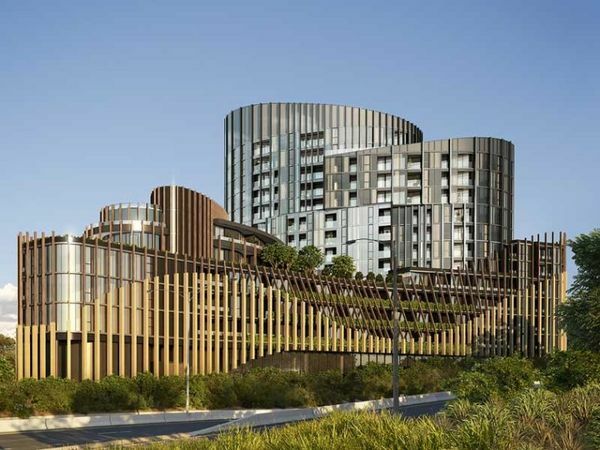 Punthill’s latest designer apartment hotel in leafy Ivanhoe brings affordable luxury – and sweeping views – to Melbourne’s booming North Eastern suburbs. Punthill Ivanhoe is the latest addition in Punthill’s 14-strong portfolio of upscale apartment hotels located in prime locations across Melbourne and Brisbane. The hotel’s 52 apartments sit atop one of Melbourne’s highest points, encompassing three floors of a landmark new building designed by award-winning Fender Katsalidis Architects, of Eureka Tower fame. Accepting guests from 11 July, Punthill Ivanhoe is close to cosmopolitan Burgundy Street, opposite the Austin Health precinct and world-class Olivia Newton-John Cancer Wellness & Research Centre. Furniture fit-out experts at Move-in have given the striking one and two-bedroom apartments a modern contemporary feel that you’d expect in a major city hotel. All rooms are stylishly appointed with state-of-the-art features and appliances, with east-facing apartments offering views of the picturesque Dandenong Ranges. Just 12 kilometres from Melbourne’s CBD, the complex boasts a modern gym and is a short stroll from local shops, parks and Heidelberg train station. Punthill Ivanhoe is well situated for health precinct users and their loved ones, tourists and those visiting friends and family in nearby suburbs. Business guests will enjoy convenient access to the expansive North Eastern suburbs’ corporate catchment area, and an easy drive to Melbourne airport via Bell Street. Punthill Director of Sales and Marketing Keiran Spencer says the fourteenth Punthill apartment hotel offers superb accommodation in a bustling medical, residential and retail precinct not far from Melbourne’s CBD. “We want our guests to feel at home while experiencing something special,” Mr Spencer says. “All our apartments provide a ‘home away from home’ feel while impressing with contemporary design and features. Punthill Apartment Hotels combine apartment living and the perks of staying in a hotel, making them perfect for couples, families, groups, tourists, business travellers and medium-term work stays.